Don’t look now, but the bombastic ex-speaker has snuck into third place in the polls. 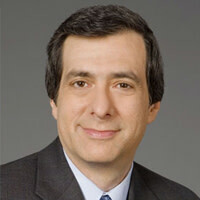 Howard Kurtz on how he is defying the obituary writers. Plus, Peter J. Boyer in this week's Newsweek on what's wrong with Rick Perry. Newt Gingrich summoned his remaining staff to the conference room of his K Street office in June, shortly after much of his team had defected, and delivered an old-fashioned pep talk. Gingrich told the team that his challenge over the summer was survival, followed by the chance for a breakout in the fall. And as the Republican presidential contenders prepare for a CNN debate Tuesday night in Las Vegas, he has, at the very least, cleared the first goal. It would be too much to call it a surge, but the former House speaker has quietly slipped into third place in several recent polls. A Public Policy Polling survey (PDF), for instance, shows Herman Cain with 30 percent, Mitt Romney with 22 percent, and Gingrich with 15 percent, edging out Rick Perry by a percentage point. And Gingrich’s favorable rating is up to 57 percent, with 30 percent holding an unfavorable view—this for a battle-scarred contender who the mainstream press has all but written off as a loser. Of course, these developments hardly amount to a soaring comeback. Gingrich raised just $800,000 in the third quarter, although insiders say the pace of donations has greatly increased, and his staff of 15 is less than half the size of a few months ago. He can still come off like a windbag with a know-it-all air. But he has held his own on the debate stage and will have another opportunity to score in the Vegas faceoff being moderated by Anderson Cooper. But since the debate schedule is more infrequent, says Galen, “I don’t think there’s a prayer” that he can win the nomination. Still, the race is essentially coming down to Romney and a yet-to-be-determined conservative alternative, a role previously occupied by Michele Bachmann and Perry before the unlikely rise of Cain. So in a contest this volatile, could Gingrich still seize his moment in the spotlight? For an analysis of Gingrich’s prospects, let’s turn now to Newt Gingrich. Gingrich added that “Perry was the natural alternative to Romney,” but “he stumbled enough in the debates that there was a vacuum created.” Which Newt, naturally, is happy to fill. Unlike the governors and ex-governors seeking the nomination, Gingrich has been thinking seriously about national issues for a quarter-century. Unlike Cain, who in recent interviews offered no plan on Afghanistan, was unfamiliar with the Palestinian “right of return” issue, and had trouble pronouncing Uzbekistan, Gingrich has been dealing with foreign policy since the Reagan administration. But he can drown listeners in facts, and by invoking his speakership sometimes sounds like a ’90s retread. Gingrich offers plenty of substantive proposals, from job training in exchange for jobless benefits to revamping the Environmental Protection Agency, but none with the catchy ring of Cain’s 9-9-9 tax plan. But can taking on the media, always a useful foil in Republican primaries, boost Gingrich into serious contention? Of course, Gingrich may have benefited to some degree by being out of the harsh spotlight. His lack of discipline when he jumped into the race is what caused his implosion in the first place. It was the Meet the Press interview last May, when Gingrich dismissed a GOP plan to overhaul Medicare as “right-wing social engineering” and then seemed to reverse himself the next day, that started his downward slide from top-tier status. And then there is the personal baggage, as Galen points out: the extramarital affair when he was a congressman, the three marriages, the huge Tiffany’s bills he ran up for gifts to his wife Callista.